When Darlene took her first lesson she brought a Chopin Scherzo, a difficult Beethoven Sonata, and a Bach Prelude and Fugue. They were a bit beyond her reach, but she could play most of the notes. My best guess at her age pegged her at 38. She was high-strung, but nice enough. Her first lesson was punctuated with outbursts of, "Oh, I'm so glad that you are telling me these things! I am going to be able to play so much better now." I tried to find out more about her history. She'd been a piano major at the conservatory here in San Francisco. How she left the conservatory was a sore subject about which she said little. I saw her a second time and she divulged more. She had been in psychiatric care for a long time with her beloved psychiatrist, Dr. Balka. She saw him at least once a week and sometimes more. She loved me. In fact, she worshipped me. She started to talk about how I was her savior. I was going to put her all back together so that she could play again and teach and everything was going to be perfect. Nervousness began to well up in me. At her third lesson, she walked in the door and announced that she had fired Dr. Balka. "I have YOU! I don't need Dr. Balka any more. I have music and I have you and that is all I need." Nervousness gave way to panic. I tried to explain that I probably wasn't a good replacement for a skilled psychiatrist. but she knew otherwise. She'd now become convinced that I was the only person she needed as her mentor. I was her new font of wisdom. I returned to the musical part of the lesson as I tried to plot an escape from this situation. After she left, my student Dave arrived. Good timing. He's a retired psychiatrist from the UCSF and he's always been a great support to me. "What do I do?" I asked. "She's become fixated on me in a matter of weeks and I need to end this relationship. It's going to a bad, bad place and I don't know how to handle it." "Just have some really dull, uninteresting scheduling problems." "Like, 'Oh, you'd like a lesson next Tuesday? I'm so, so sorry, but I can't see you that day. Can I get back to you about the following week?' She wants lots of drama and she's setting it up so that you are part of her narrative. If you do anything dramatic, like tell her directly that you can't see her, she'll become more fixated on you. Instead, you want to be dull and give her no particular feedback at all. She'll be gone in a few weeks." When she called next she was clearly agitated. "Hi Diane, I really need a lesson this week. Can I see you tomorrow?" "Oh, Darlene. I'm awfully sorry but tomorrow is fully booked. I might have some time next week. Can I get back to you?" The next call she was anxious and agitated. "Hi Diane. I really need a lesson this Friday. I have to see you. This week." "Oh darn, Darlene. That just doesn't work for me. I think I might have some time on Saturday, but I have to wait and see. Can I let you know if something opens up?" I said cheerfully. In less than two weeks she'd stopped calling completely, exactly as Dave had predicted. She'd moved on to cast a new character in her drama. I prefer to be a straight-ahead-we-can-find-a-solution-kind-of-teacher. Dave taught me that sometimes the most sophisticated solution lies in just being a little dull. On another note entirely, I heard Paul Tough speak at the San Francisco Friends School last week. 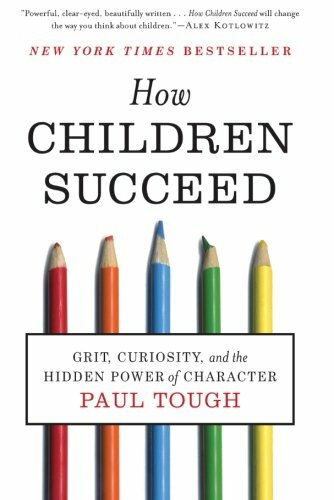 He's the author of How Children Succeed: Grit, Curiosity, and the Hidden Power of Character. I was blown away. I can't wait to read his book. I've skimmed it and it's full of information I know will be helpful to me as a teacher.